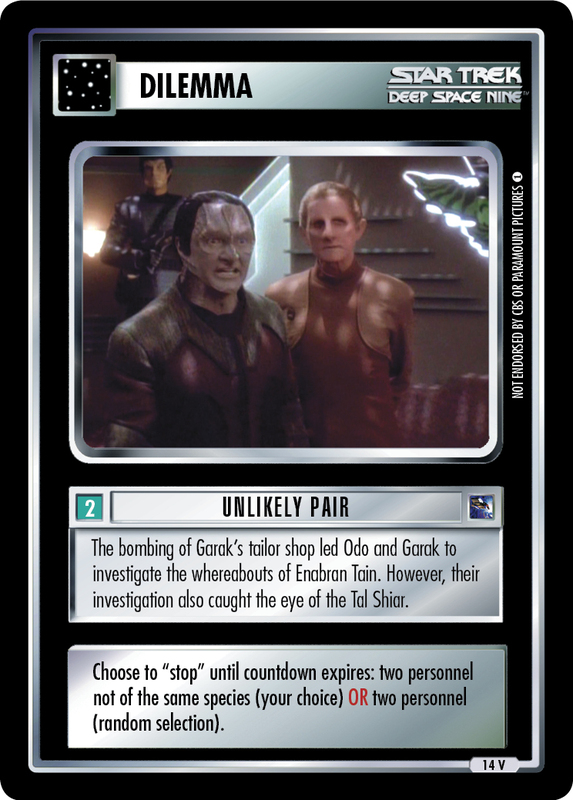 The bombing of Garak's tailor shop led Odo and Garak to investigate the whereabouts of Enabran Tain. 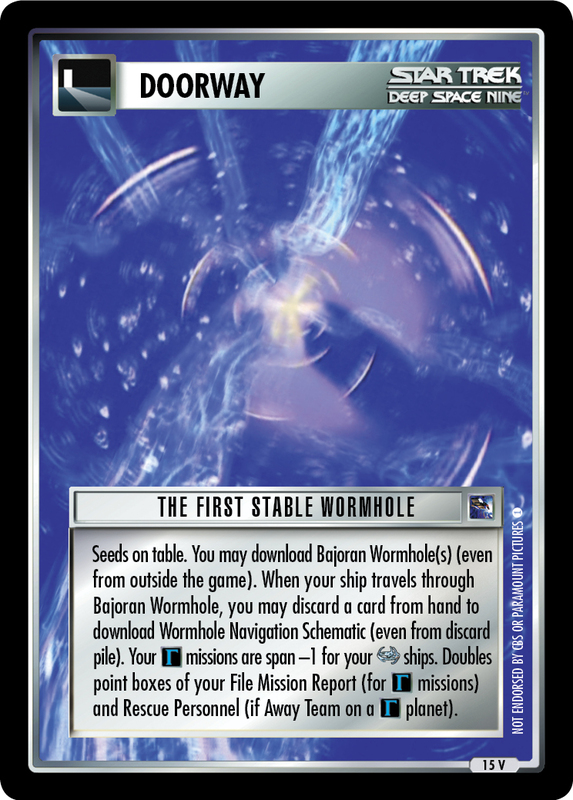 However, their investigation also caught the eye of the Tal Shiar. 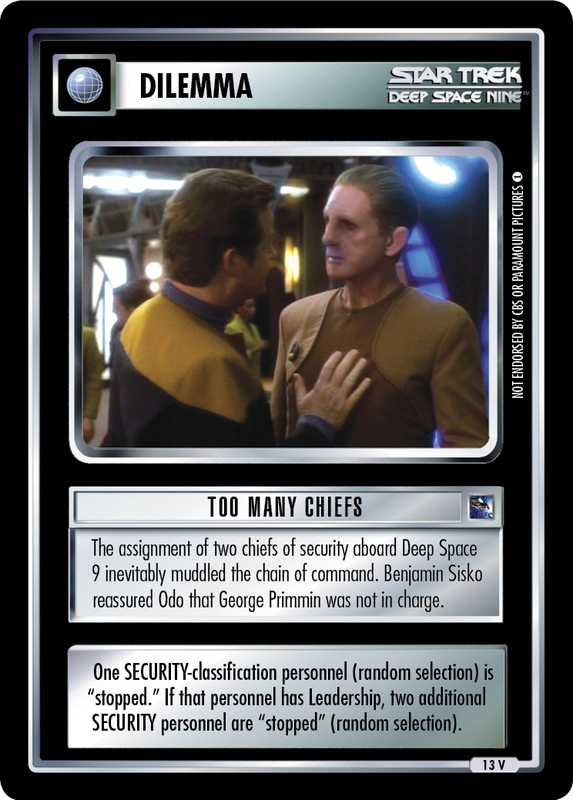 Choose to "stop" until countdown expires: two personnel not of the same species (your choice) OR two personnel (random selection).